Volkswagen has revealed its latest concept – the I.D. 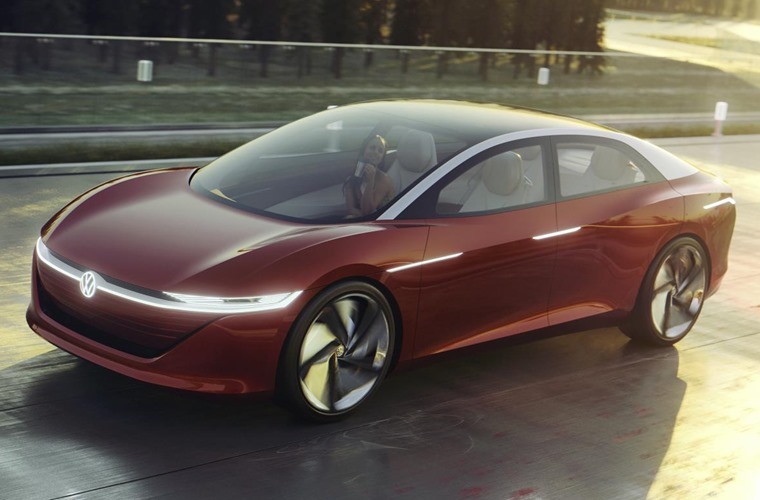 Vizzion – a fully electric saloon that will join the I.D. hatch, I.D. Buzz and I.D. Crozz. 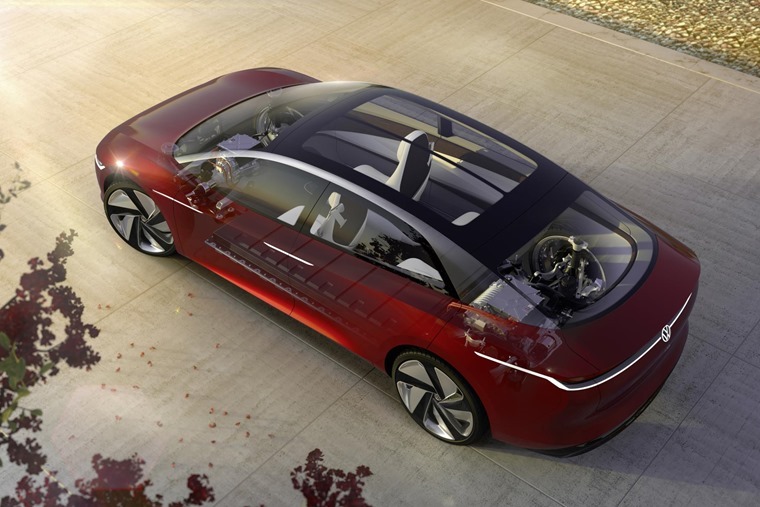 It took its bow at the Geneva Motor Show and uses Volkswagen’s EV MEB platform and is capable of level 5 autonomous driving (fully self-driving). 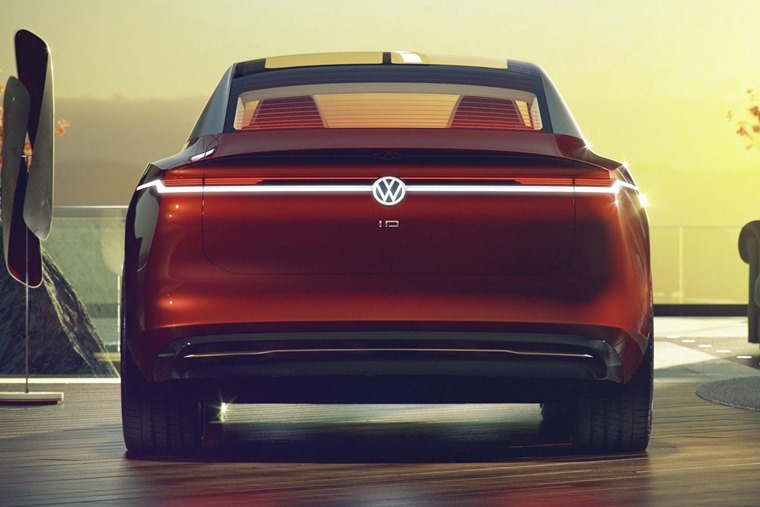 Volkswagen says this kind of car could be no more than a decade away, and has said we’ll see a production Vizzion by 2022 at the latest. At over five metres long, it is VW’s largest I.D. concept car to date and will be the fourth I.D. to join the innovative futuristic line-up. 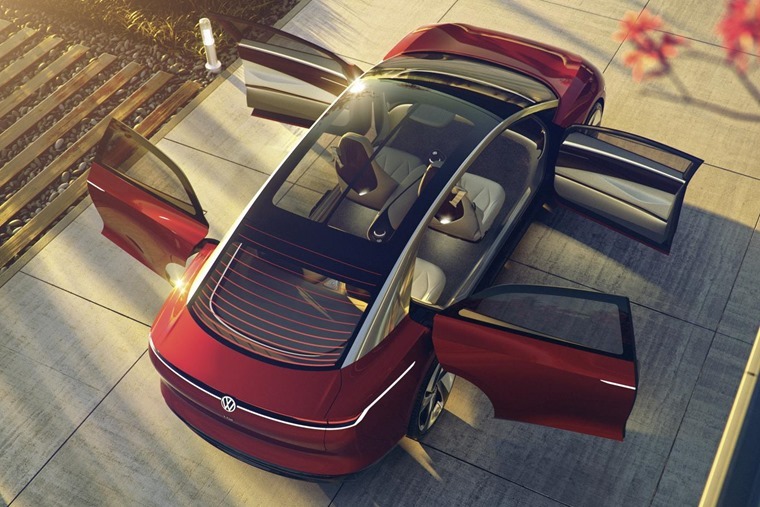 It’s similar in size to the latest Audi A8 and BMW 7 Series and, thanks to its autonomous and emission-free capabilities, VW says this is “the future for individual mobility”. Riding on huge 24in alloy wheels, the concept takes the form of a swooping four-door coupe. It gets a snazzy set of rear-hinged ‘suicide’ passenger doors, although it’s unlikely that these will make it on to production models. There’s stunning LED ‘interactive’ headlights at the front, that run the width of the car and incorporate VW’s badge – all part of the company’s clever IQ light system. It’s the same at the rear and in fact the sides, where the door handles are also illuminated. On the inside, there’s some futuristic controls, which VW promises will demonstrate the potentials of autonomous driving. There are very few driver controls at all; a ‘digital chauffeur' with its many assistance systems assumes control of the vehicle – without a steering wheel or visible controls. 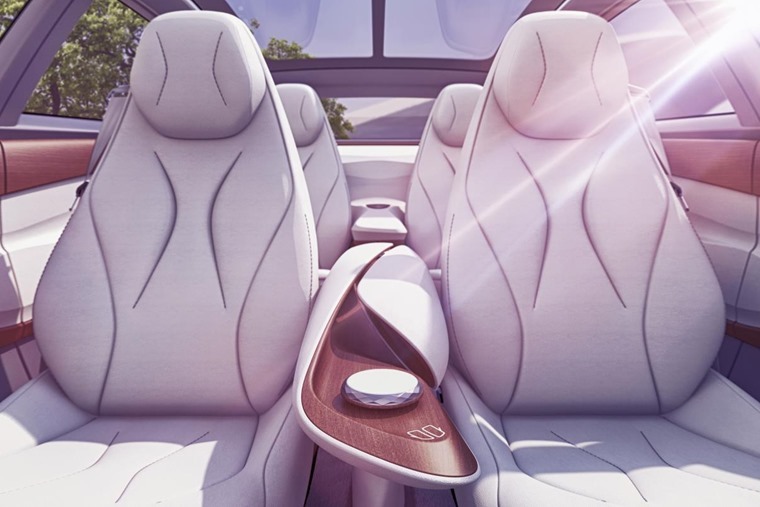 For the ‘driver' and passengers, the four-seat interior claims to offer “a new dimension of safety and comfort”. It appears to have masses of rear legroom and some seriously comfortable seats. 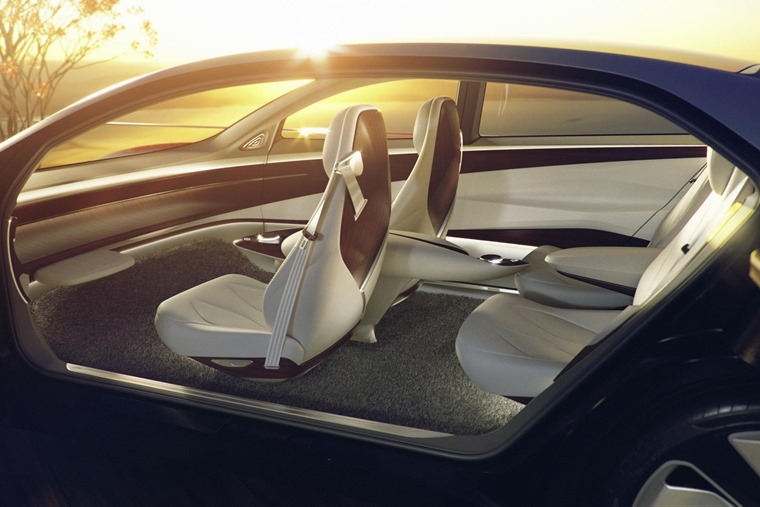 The concept car drives, steers and navigates autonomously in traffic, with occupants controlling a ‘virtual host’ via voice and gesture controls. The I.D. 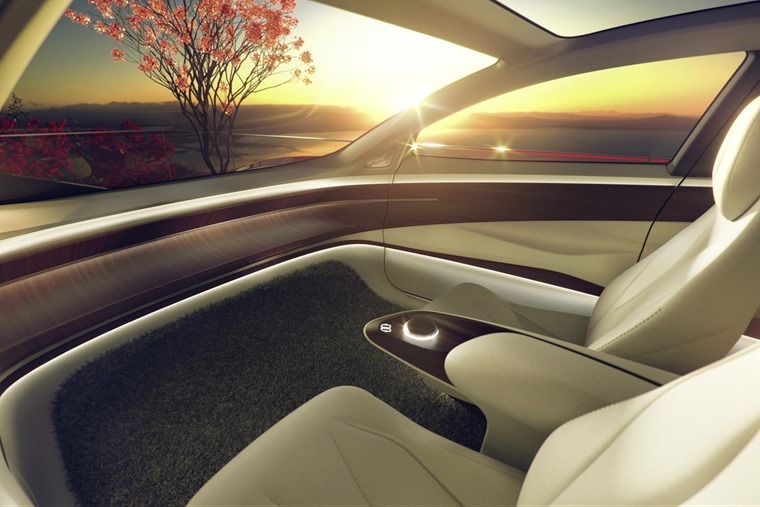 VIZZION concept car is one of the first cars to have the future potential of 'artificial intelligence' incorporated into its concept. Artificial intelligence (AI) refers to programmes capable of self-learning which execute algorithms to recognise, evaluate and interpret patterns. Over time, these systems continue to learn more, which also enables them to react to new situations. The powertrain features two electric motors (75kW at the front and 150kW at the rear) together producing 225kW, or 306bhp. It can get from 0-62mph in 6.3 seconds but, due to its autonomous systems, the Vizzion’s top speed is limited to 111mph. Thanks to brake regeneration tech, its 11kWh lithium-ion batteries will be capable of up to 413 miles without recharging.